All Oklahoma Sample Sales, Outlets and Stocksales in one place. Shop for polos, t-shirts, and jackets for men and women at reduced prices at the Bamboa Apparel Warehouse Sale. You missed the sample sales below Click here to subscribe to our newsletter. This way you'll never miss a sample sale. Shop for women's apparel and footwear at reduced prices at the Knotty Pine Boutique Spring Warehouse Sale. Price ranges from $5 to $20. 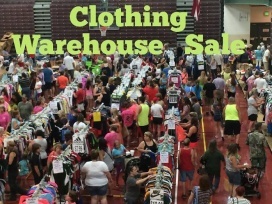 Shop for men, women, and kids' apparel and footwear at reduced prices at the Mall Closeouts Warehouse Sale. Brands included are Fila, Puma, Dickies, Carhartt, Columbia Sportswear, Eddie Bauer, Reebok, Silver Jeans, Vans, American Eagles, Nike, Adidas, Maurices, Under Armour, and Levi's. Cash, credit, and debit cards are accepted. Brands included are Adidas, Levi's, Vans, Maurices, American Eagle, Nike, Silver Jeans, The Buckle Brands Clothing, Reebok, Fila, Puma, Sketchers, Dickies, Carhartt, The North Face, Eddie Bauer, and Columbia Sportswear. Cash, Debit, and Credit Cards are accepted. 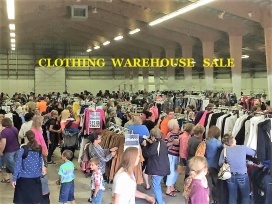 Shop for men and women's apparel, accessories, and footwear at bargain prices at the Mall Closeouts Warehouse Sale. Brands included are Nike, Vans, Adidas, Under Armour, Levi's, Fila, Puma, Dickies, Skechers, Reebook. Find great deals on accessories, lighting, and furniture at the Urban Farmhouse Designs Warehouse Sale. Clever Alice will be hosting the Raw Earth Wild Sky Pop Up Sample Sale featuring clothing for women for only $50 each. Sizes available are small and medium. Take up to 50% discount on chairs, tables, and candles at Urban Farmhouse Designs Sample Sale. 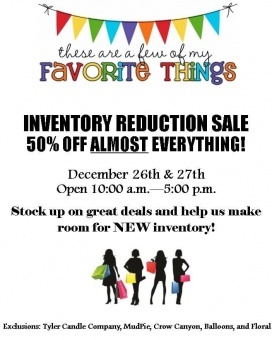 Take up to 50% discount on gift items at the My Favorite Things Clearance Sale. Bella Rose Bridal will be hosting a White Dress Sample Sale featuring wedding dresses at reduced prices. Enjoy up to 90% savings on hardware items when you shop at the Ace Winter Clearance Sale. 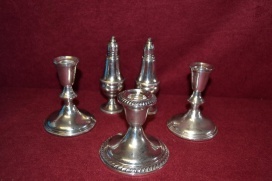 Caring Transitions of Annapolis will be hosting an online Warehouse Sale featuring collectible items, jewelry, antique pieces, cameras, typewriter, books, violins, figurines, records, and storage containers at affordable prices.